Offering you a complete choice of products which include monel flanges, stainless steel flange, slip on flanges, forged steel flanges, aluminum flanges and din flanges. 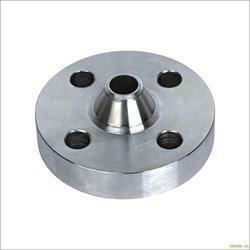 Our firm is counted amongst the significant names, offering a wide range of excellent quality Monel Flange. These flanges are manufactured using optimum quality raw material and advanced technology. In tune with different requirements of our copious clients, we customize the entire range in various sizes and shapes. Our offered flanges have gained exceptional value amongst our clients for their defined features. We provide entire range at affordable prices. Grades: Monel 400 (UNS No. N04400), Monel 500 (UNS No. N05500) Size: 1/8" NB TO 48"NB. Forms of flanges: Socket Weld Weld Neck Slip on Long Weld Neck Blind Reducing Lapped Spectacle Screwed Ring Joint. Our firm specializes in offering an excellent collection of Stainless Steel Flange that is used in different industrial fittings for joining pipes. This flange is manufactured using topmost grade raw-material and sophisticated technology in conformity with the certified industry norms. In order to deliver the defect free range at clients' end, this flange is checked against the various parameters of quality before supply set by industry. 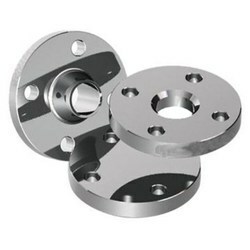 We offer this flange at most affordable rate. 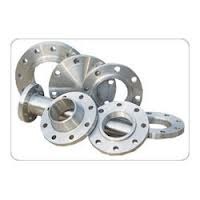 Offer Description We are offering Stainless Steel Flanges Size 1/2" to 52" Material Stainless Steel Standard ANSI Place of Origin India Brand Name Excel Standard or Nonstandard Standard Group Flanges Listing Description stainless steel flange, flange, SS flanges, 304 flange, 316 flange, 310 flange, 202 flange, forged flange, steel flange, SS Detailed Description: We manufacture & Export.S. flanges, C.S. flanges and M.S. flanges. Our flanges are available in a wide selection of dimensions and specification. We are leading manufacturer, exporter and trader of Slip On Flanges, which is appreciated for its features like durability and resistance against corrosion. 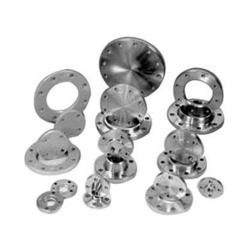 Our ranges of flanges are contrived using top quality materials and advanced technology. They are commonly used in lower pressure applications. We provide these products to our respected clients at competitive prices in the market. Our organization has successfully expanded its business in market owing to the offered elevated quality array of Forged Steel Flanges. They are considered to be the most popular style of valve in the world of flow control. Offered valves are a type of valve having a gate that moves perpendicular to flow of the service and hence the name. The offered valves are manufactured utilizing superior quality raw material and latest technology. Moreover, a team of our quality controllers conducts a series of quality tests on the entire range to seek out any possible defect. In tune with industry standard, we provide the entire range in various customized options and industrial leading prices. We provides ASME code and non code industrial flanges for the petrochemical, process, & waterworks industries. ANSI, API, AWWA pipe flanges in carbon, stainless, alloys and chrome steel. Weld neck, slip on, blind, threaded, socket weld, lap Joint, orifice flanges in sizes 1/2" to 198". This flange can be applied to petro-chemical project, pipe engineering, public appliances, etc. We are instrumental in offering our clients a high quality range of Aluminum Flanges which can be used for isolating or regulating flow. The offered valves are meticulously tested on various quality parameters and are widely demanded in various industries. Provided valves are manufactured by utilizing optimum quality raw material and latest technology at our vendors end. In line with industry standard we provide the entire range of valves in various customized options and at affordable prices. The CF (Con Flat) flange is the most widely used for high vacuum and UHV applications. Many gauges, instruments, accessories and feed through are available on this flange system. The seal mechanism is a knife-edge that is machined below flange's flat surface. As the bolts of a flange-pair are tightened, the knife edges make annular grooves on each side of a soft metal gasket. The extruded metal fills all the machining marks and surface defects in the flange, yielding a leak-tight seal. The CF seal operates from 760 torr (1013 mbar) to <1 x 10-13 torr (<1.3 x 10-13 mbar), and within the temperature range -196° C to 450° C (depending on material). Flange sizes in North America are determined by outside diameter (O.D.). In Europe and much of Asia, the internal diameter (I.D. )—actually the nominal I.D. of the largest tube that can be welded to a bored flange—is used. We put forward a broad range of DIN Flanges that are manufactured in adherence with the set industry standards using advanced technology and optimum quality raw material. In tune with industry quality standard, we provide the entire range in various sizes and specifications, as per the requirement of our clients. Our quality controllers perform a series of test on various parameters, in order to ensure the quality of these flanges. Apart from this, clients can avail the entire range from us at industrial leading rates. Deutsches Institut fÃ¼r Normung (German Institute for Standardization). These din standard flanges can be availed in different material specifications including carbon steel, stainless steel and alloy steel. Available at the most reasonable prices, our DIN pipe flanges can work efficiently under high temperature and pressure. Focused on technological up-gradation, dynamism and innovation, we are moving ahead by maintaining timeliness in delivering a wide gamut of Spectacle Blind Flanges. The offered flanges are manufactured using high grade raw material and contemporary technology. We assure our clients that our flanges are quality tested on predefined parameters, in order to meet industry standards. Apart from this our prestigious clients can avail these flanges, as per their needs, at highly competitive price.